The first trial for people arrested during a demonstration on Inauguration Day is in its final phases. The defendants, including protesters, two street medics, and a photojournalist, originally faced a felony charge of inciting a riot. That charge was thrown out, but they still face five felony counts of property destruction and two misdemeanor charges for engaging in a riot and conspiracy to riot. The felony charges carry maximum sentences of ten years incarceration. 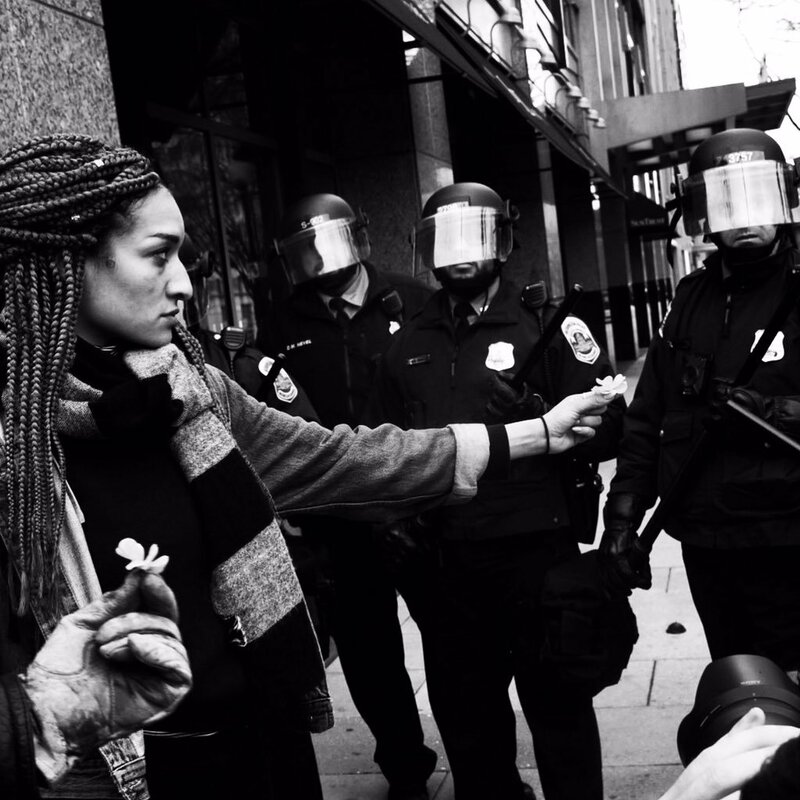 We discuss the trial, explore the legal theories put forward by both sides, and look back at how other protesters arrested in Washington, D.C. have fared in court.